How our special type K thermocouple sensor measured up! A well know UK fusion research laboratory, based in Oxfordshire, emailed Sterling with a requirement for temperature sensors for a Research & Development rig, which was being commissioned for a new project. 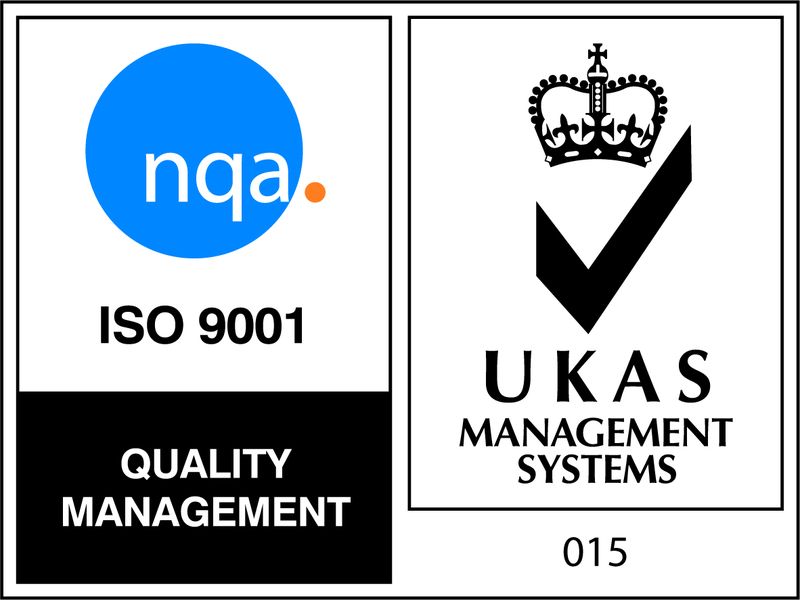 One of our engineers contacted the customer to establish what was required. They had been recommended to Sterling Sensors by a colleague who had used us previously to manufacture bespoke mineral insulated thermocouples. The customer identified that the rig consisted of a series of stainless steel pipes and vessels, which required thermocouples in a total of 15 points. There were various pipe and vessel sizes. The temperature requirements ranged from 50 to 200 °C. Also, a type K thermocouple sensor was needed to be compatible with their current data acquisition system. As well as the wide temperature range, the customer wanted the thermocouple sensor to be easily replaced and removable for periodic calibration and testing. Once we had this information, we returned to the customer with a solution. An industrial temperature assembly with removable type K insert for easy sensor replacement was selected. 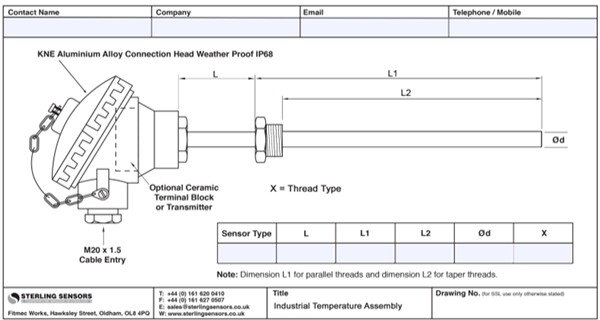 We had received all the drawings and we were able to quote the 15 bespoke fabricated type K thermocouple sensors with a total of 8 different insertion lengths and removable inserts, we also provided a complimentary calibration of each sensor to the customers required temperature points.